Books for Soldiers: Once registered, you will be able to view the requests and send troops books, DVDs, games and relief supplies. You will also have access to our Pen Pal area and Post Card Jamboree. On average volunteers fill thousands of requests a month. Operation Paperback sends paperbacks to troops overseas. 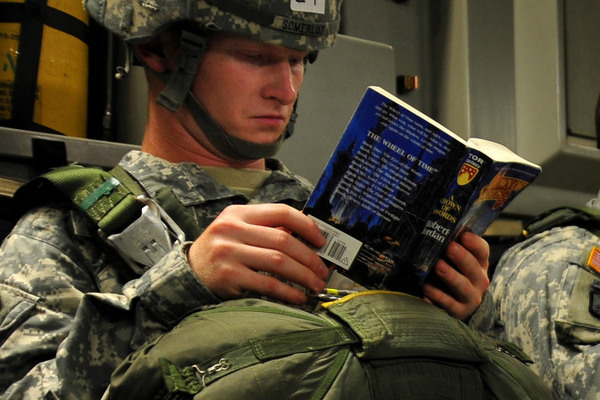 Books-a-Million will let you select and purchase Books for Troops in a special program. As the wife of a veteran let me say — many thanks!